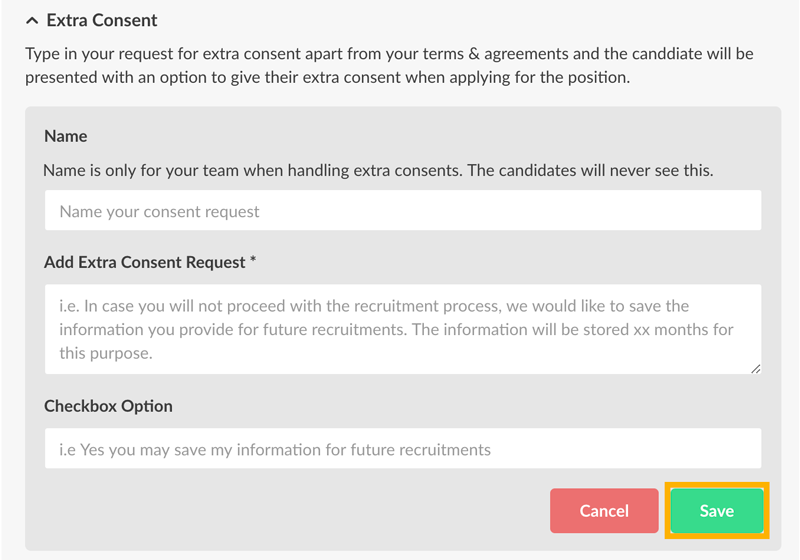 When you want to ask candidates to be a part of future recruitment processes, you can add extra consent. 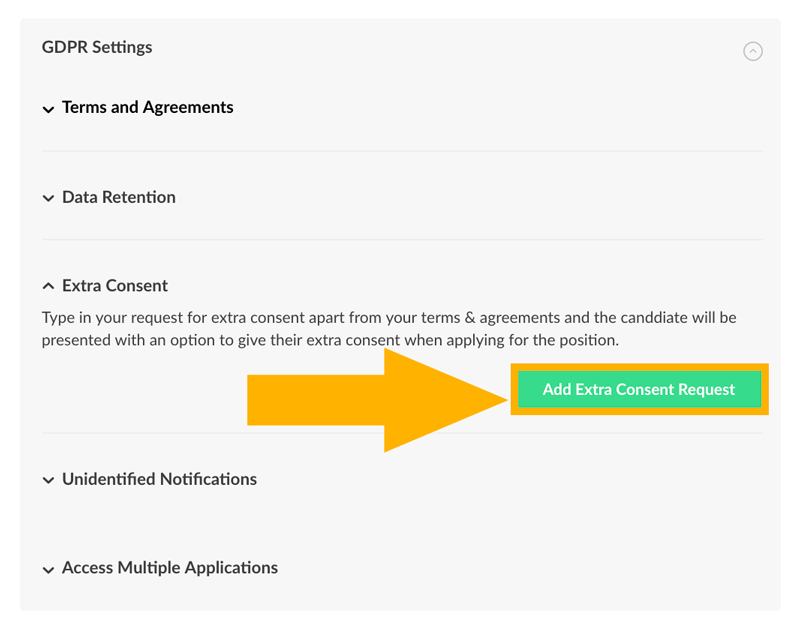 You can add the extra consent when creating an application link. 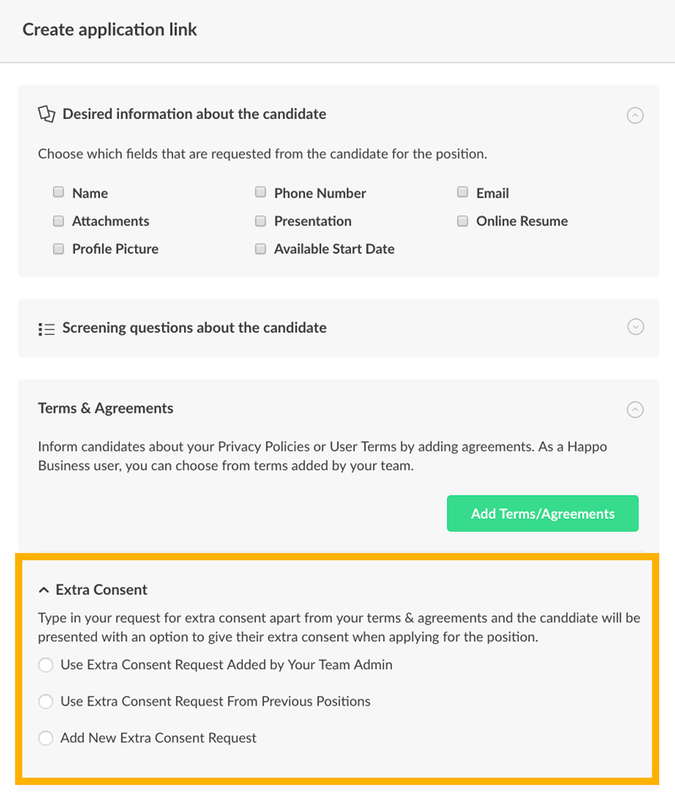 Candidates will be able to give the extra consent in the job application. You will see their answer in their candidate card.